How do we ensure technology unites us and provides opportunities rather than disparity? In a ballroom filled with local leaders in government and industry one message stood out: technology is rapidly changing and everyone needs to be on board. 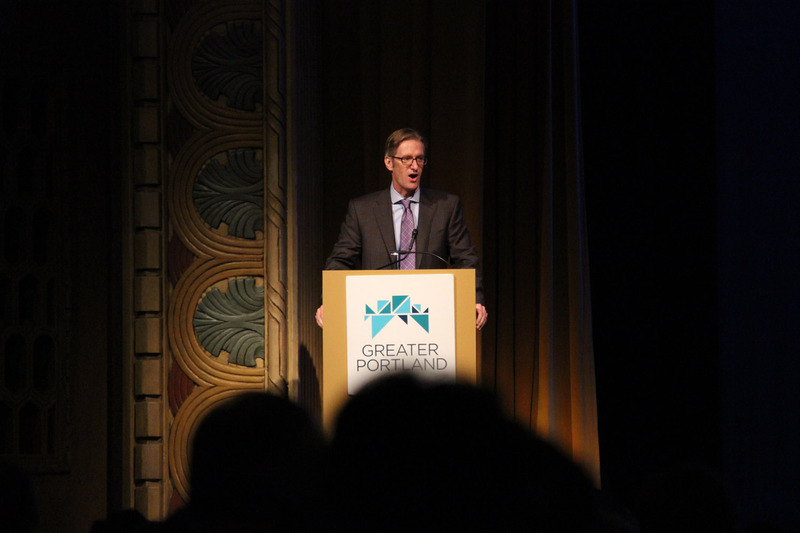 I attended Greater Portland’s annual Economic Summit Thursday, which was filled with takeaways for business owners looking toward a sustainable future. Keynote speaker Kian Gohar said societal advances are a double-edged sword. “We’re essentially living in a society where technology is helping us transform scarcity into abundance. And we’re solving a lot of humanity’s great challenges but we still have a lot to solve,” said Gohar, executive director of the Innovation Partnership Program. "If you look at the millennial generation, people don’t necessarily have that same pride in taking their Mercedes-Benz and taking someone to the movies. It's making us call into question what we're doing with our lives." 3. Competition is no longer just local, it’s all over the world.